Alaska marijuana rehab and treatment centers help to break an addiction to marijuana for individuals who cannot stop or reduce use on their own. Due to Alaska's cold climate, marijuana was an imported drug for the state primarily through drug trafficking organizations (DTOs). Today, marijuana is legal in Alaska for adults 21 and older. Although adults may legally possess and grow marijuana in Alaska, some people may become addicted to the drug, and need extra help to abstain from dangerous or irresponsible use. In Alaska, marijuana rehab and recovery can take place in an inpatient or outpatient drug rehab facility. Alaska does not currently offer specific marijuana rehab facilities and centers, but help is available regardless of the substance of abuse. In most circumstances in Alaska, marijuana rehab and treatment involves a series of outpatient services. Marijuana does not typically create physical dependence, therefore it is rare that a person will need a medical detox to begin rehab for marijuana abuse. 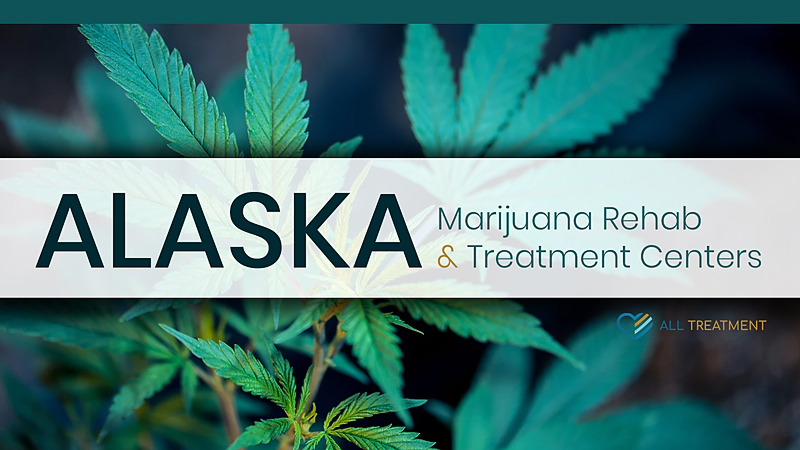 The State of Alaska offers resources and information on safe marijuana use and referrals to rehab and treatment programs for individuals who may be at risk for unsafe or addictive habits with their marijuana use. There are several private and state grantee rehab and treatment providers in Alaska that can provide help for marijuana misuse and addiction.